Hi beauties, after a very busy weekend at Madrid Fashion Week, I need an ultra comfortable outfit for a relaxing day, like this one that I bring you today. I choose a pair of boyfriend jeans, a green parka and a beautiful Sweatshirt with the message Love, something that I would like to share among everyone around the world. 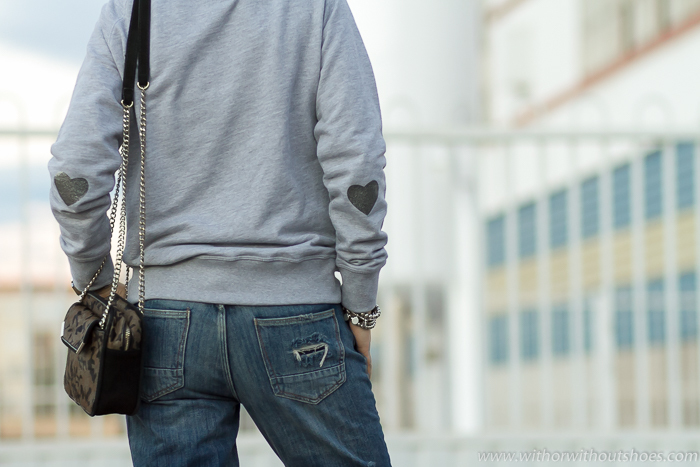 In addition, it has 2 cute hearts printed on the elbows. 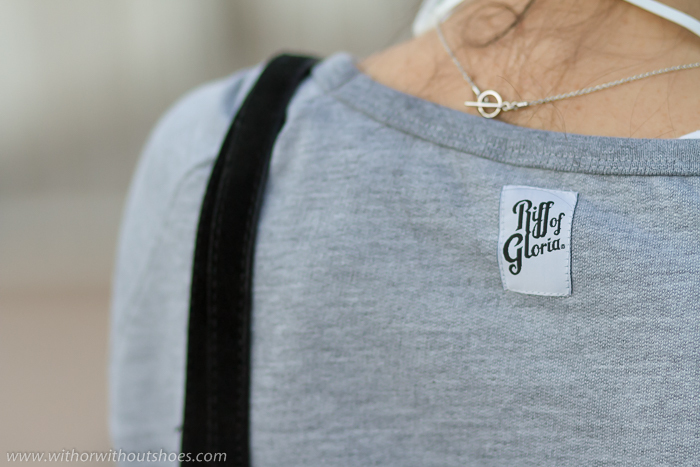 It is from the brand Riff Of Gloria, which is created by 3 young designers who design awesome limited edition products. If you visit their website, you will love their message t-shirts and sweatshirts. Hola guap@s, después de un fin de semana muy movidito en la Fashion Week, necesito un look ultra cómodo para un día de relax, como éste que os traigo hoy. 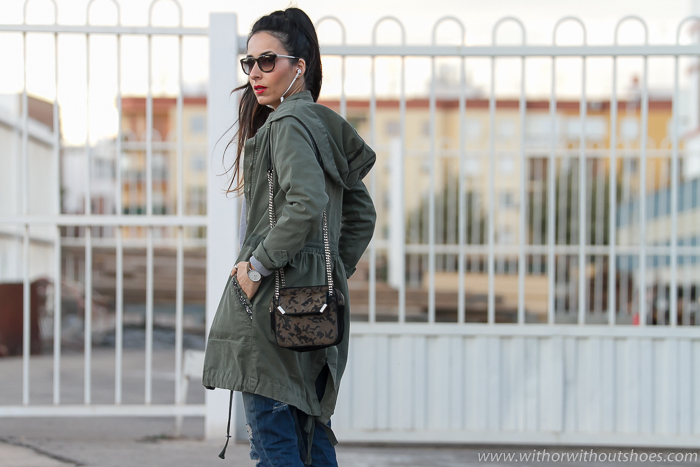 Para él he elegido unos jeans estilo boyfriend, parka y una preciosa Sudadera con la palabra Amor como mensaje, algo que me gustaría poder repartir entre todo el mundo, pues hoy en día escasea mucho, y así nos va. Además en los codos lleva 2 corazones que quedan súper monos. Es de la marca de Riff Of Gloria, creada por 3 jóvenes diseñadores que realizan ediciones limitadas de productos que merecen mucho la pena. Os animo a que paséis por su página, pues os van a encantar sus camisetas y sudaderas con mensaje. Besides, I wear my new wireless headphones by Sudio that are super comfortable because you can wear them connected to the mobile without annoying wires through Bluetooth. The result, as I said, is a perfect outfit to enjoy a relaxing day. What do you think about the look? Lots of love and thank you so much for your comments. I wish you have a great week! Además llevo mis nuevos Auriculares inalámbricos de Sudio que son súper cómodos, pues los llevas conectados al móvil sin los molestos cables a través de Bluetooth. El resultado, como os decía, es perfecto para disfrutar de un día muy relajado ¿Qué os parece el look? Un besazo y muchísimas gracias por vuestros comentarios. Que tengáis una feliz semana ¡¡¡Muacks!!! Cómoda, guapa y chic! Un beso bella. Me chifla cómo te ha quedado el look de hoy!!!! Ayyyy no sé si he dado a enviar el comentario... Te decía que me chifla tu look de hoy!!!! Perfecto! La sudadera es súper chula. 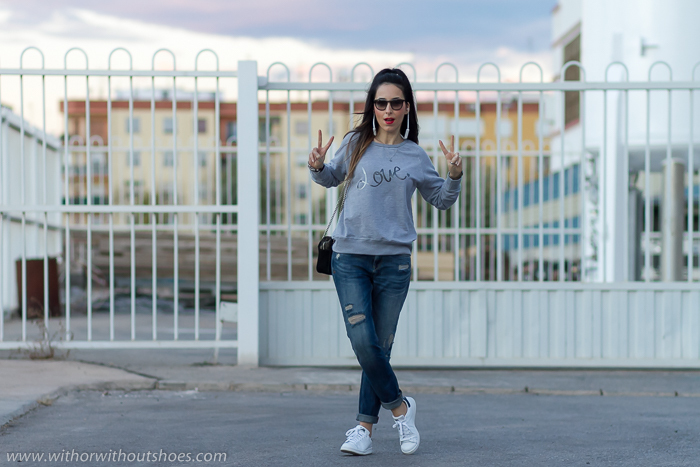 Sporty yet chic outfit, I love that sweatshirt! 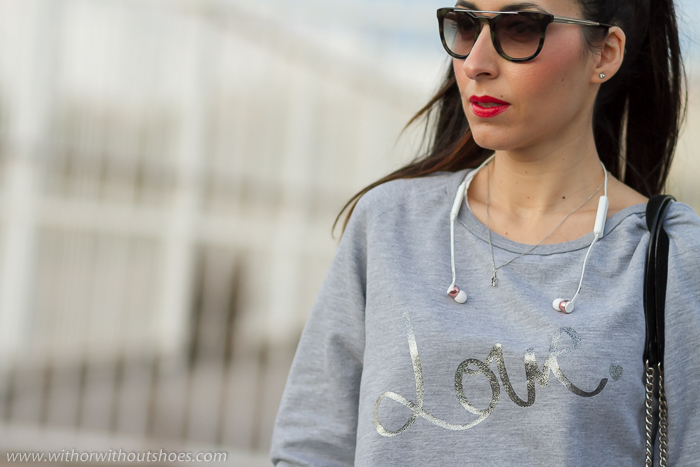 Me encanta como llevas este look sport, estas ideal, miles de besos. 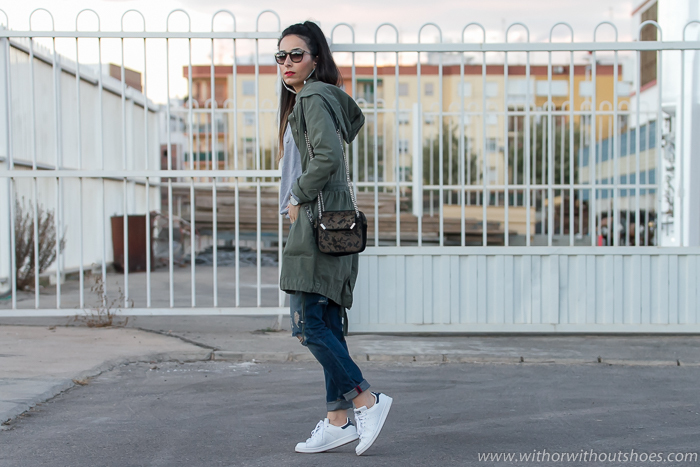 Un look casual genial, me encanta la parka.Besos! Such a beautiful outfit! I love the sneakers and jacket! La parca es super chula! me encanta la combinación! Hola, me ha gustado el look, los boyfriends jeans quedang genial, saludos. Eres muy guapa, deberías mostrar mas tus outfits sin gafas!!!!! Cuando muestras tu cara y tus ojos te ves mucho mas joven. Me encanta tu estilo. 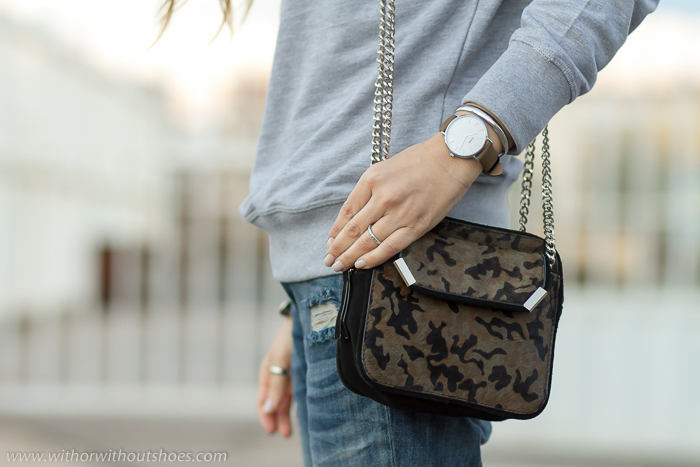 El look cómodo y chic, me gusta mucho el bolso..
Loooooveeeeeeee gorgeous!! A lot of style!!! Me flipa el bolso!!! Es precioso!! Un outfit casual y con estilazo. Me encanta!! I love your hair and outfit. I love everything about this look!